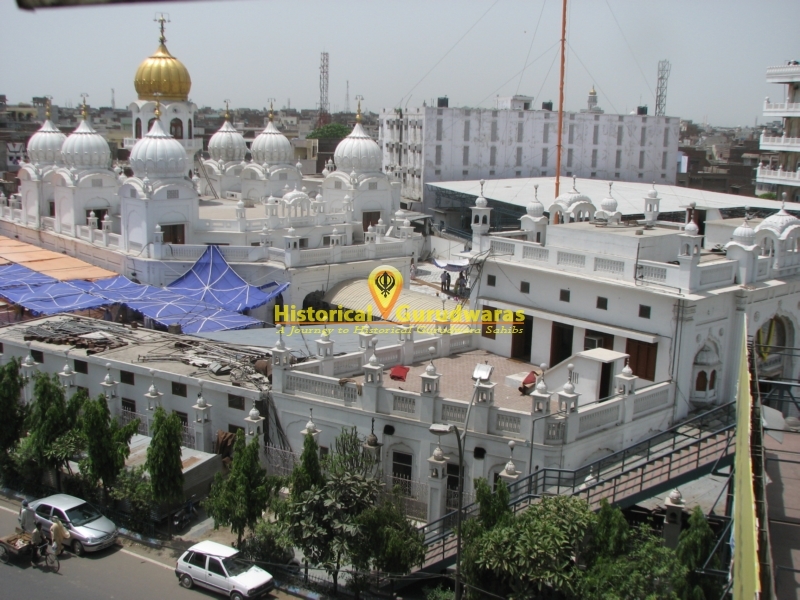 GURUDWARA SHAHEED BABA DEEP SINGH JI ASTHAAN ANTIM SANSKAR SAHIB (SHAHEEDAN SAHIB) is situated in the Distt City Amritsar. 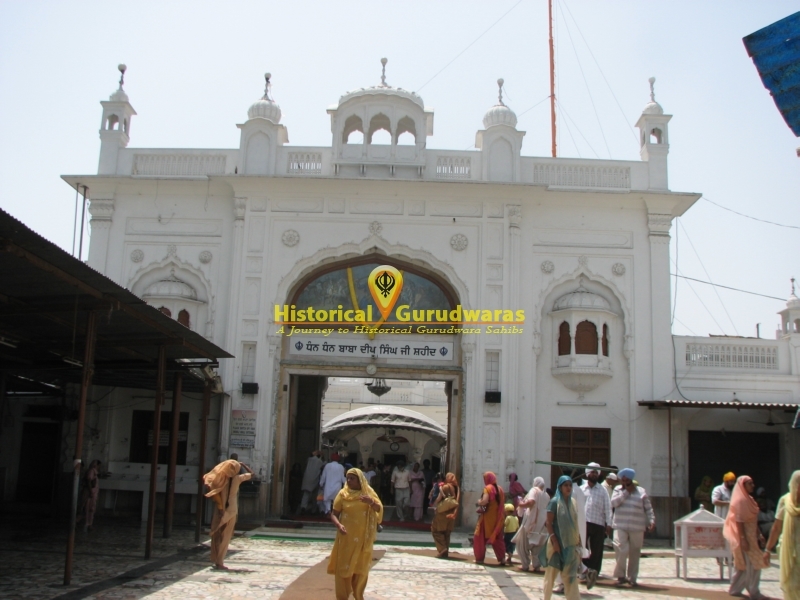 It is situated in Chattiwind Gate on Taran Taaran road. 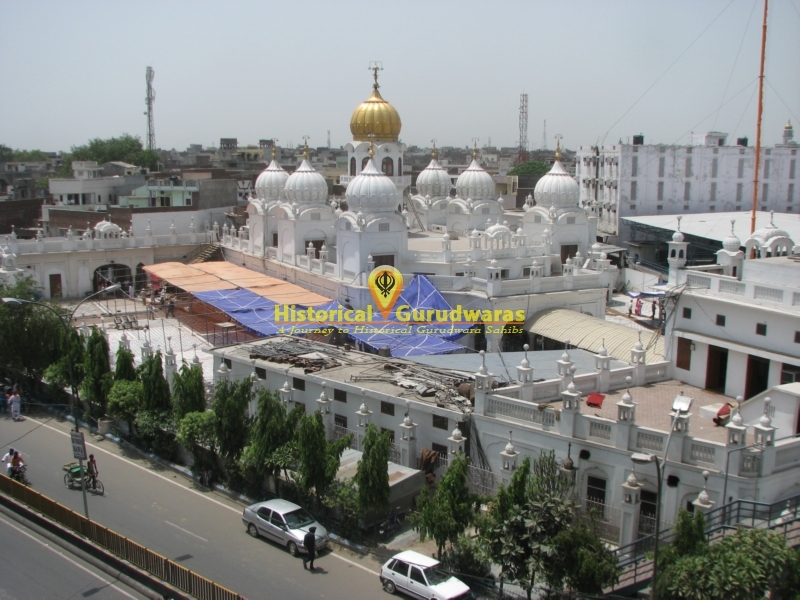 In the year 1757 when BABA DEEP SINGH JI got the news that Taimurshah & Jahan Khan have shown disrespect for SHRI DARBAR SAHIB & also started filling the holy sarovar, even though BABA JI was in old age he carried a 18 ser heavy Khanda in his hand to free SHRI DARBAR SAHIB. 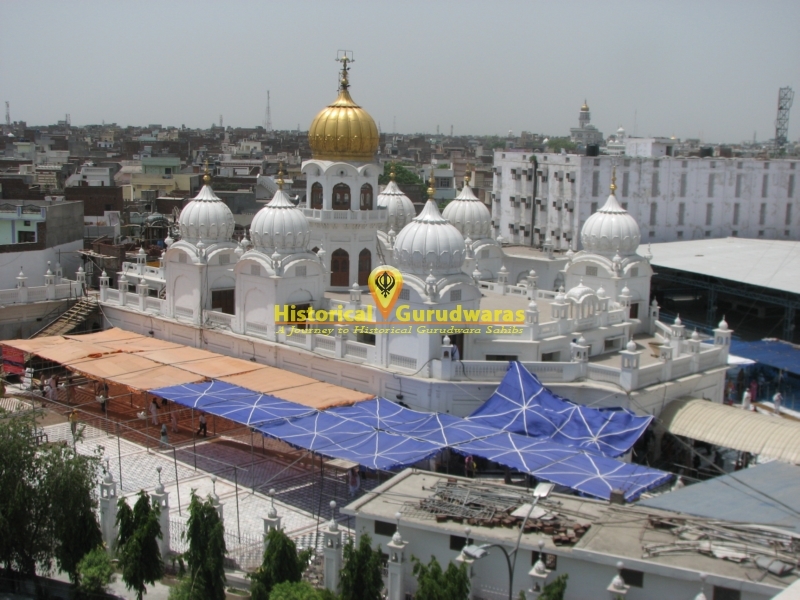 He took pledge to teach a lesson to the cruel and started his journey for SHRI AMRITSAR SAHIB. On hearing this , Jahan Khan had made thousands of his soldiers ready on the outskirts of the town near Gohalvadh village. There was a fierce battle. 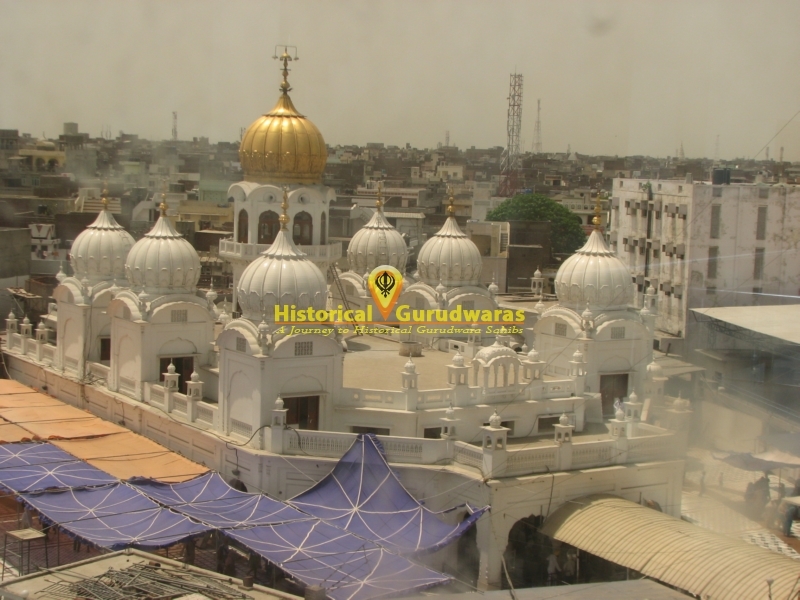 BABA JI was still far from the town when during his battle with Jahan Khan, he was beheaded. A Singh standing close to BABA JI when reminded BABA JI of his pledge, such a miracle happened which had never happened in the world before. BABA JI held his head in his left hand & with his right hand he swayed the Khanda with such a force that the enemies started running. 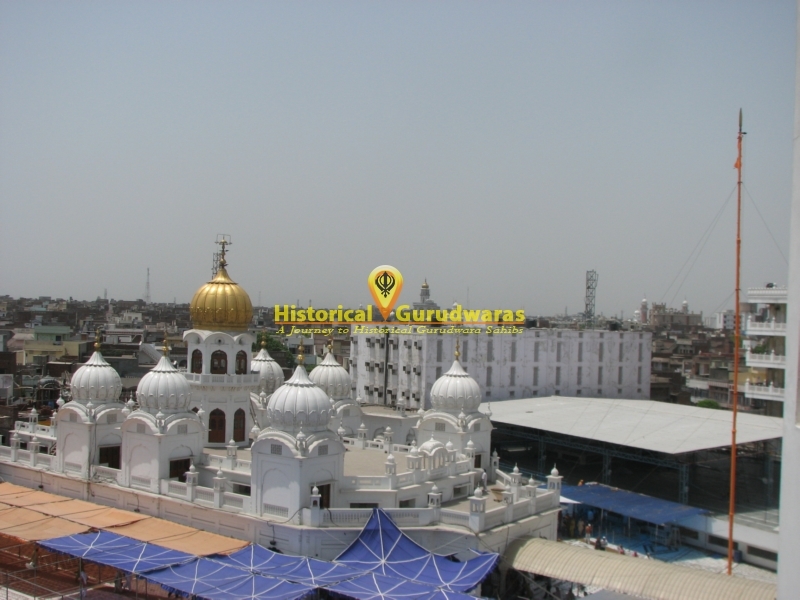 Like this, fighting the fierce battle, BABA JI reached SHRI AMRITSAR and offered his head at SHRI HARMANDAR SAHIB. 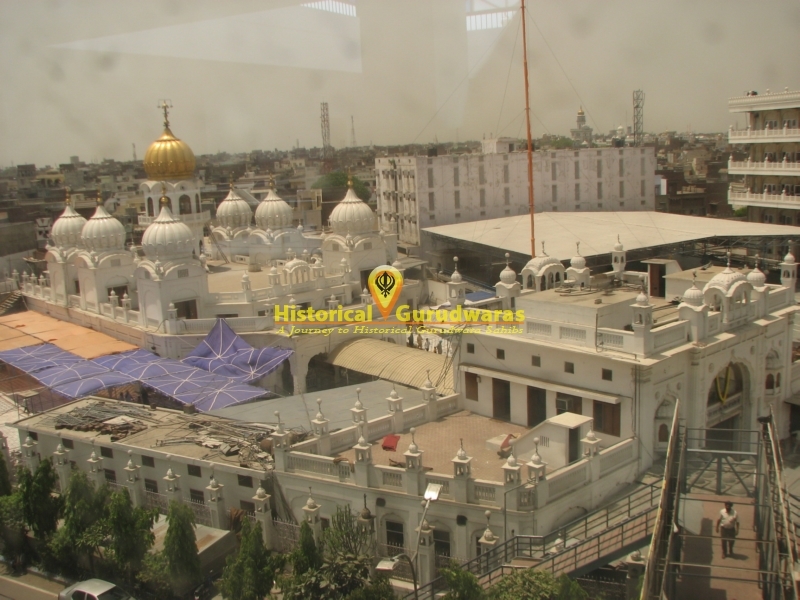 Antim Sanskar of BABA DEEP SINGH JI and other Shaheed Singhs was done here.